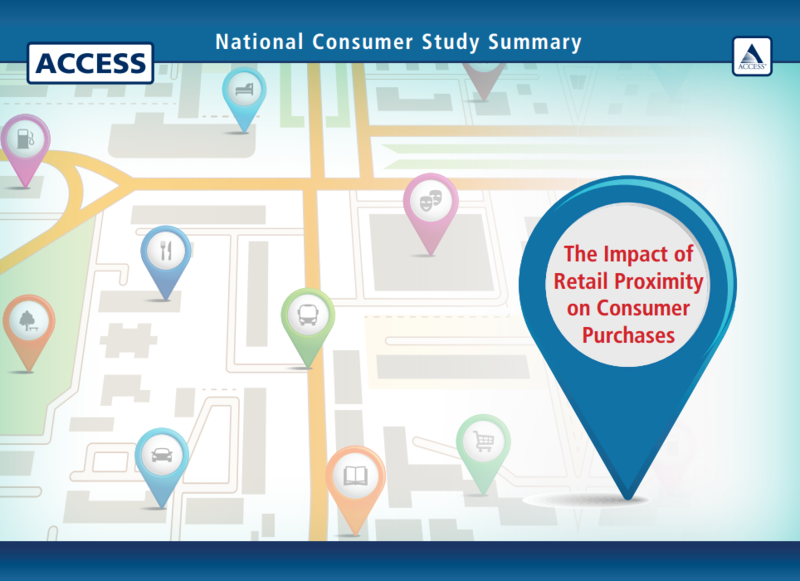 Research: How Far Will Consumers Travel to Make Routine Purchases? For decades, the common thinking has been that 80% of consumer spending occurs within 20 miles of home. We've cited that stat before, as have countless other legitimate publications and news outlets. The problem is, we've learned the stat is a myth. It doesn't exist, as this writer documented. It really sounds good and seems to make sense. The question has to be asked: Does the 80/20 stat still hold up in 2016? We wanted to know. We've built around Access around local businesses across the US. To stay relevant with consumers, we have to know if buying local still matters like it used to. Plus, we wanted to know more. How far do people go for food? For gas? For clothes? Are rural consumers different than urban dwellers? When you take proximity out of the equation, what criteria do people use to decide where to spend? This summer we put together a national survey effort, talking with over 2,000 consumers across the US about where they make their everyday purchases (things like food, clothing and gas). What we found is that 80/20 is actually an understatement. 93% of consumers say they typically travel less than 20 minutes to make everyday purchases. 87% of them won't go beyond 15 minutes. Furthermore, the more frequent the purchase, the less consumers will travel: 6 minutes for gas and 8 for groceries, but 19 minutes for clothing and 17 for movies. And when you remove proximity as a factor, people look to price and quality (each was cited by 32% of respondents). Fitting with the data collected in our loyalty statistics database, just 6% were influenced by brand reputation and 7% by customer service. We compiled these findings and more in a research report, which we're detailing in a free webinar on November 16 at 11am EST. Everyone who signs up for the webinar will receive a copy of the report ahead of time, whether they choose to attend the live event or not. During the webinar, we'll also talk about some information that isn't in the report: how any business, local, online or otherwise, can use this data to build engagement and influence with consumers across the US. After all, these are the dollars everyone is fighting for - the post-taxes and post-bills money that people get to decide where to spend. If you want to be relevant, you have to get in on these decisions. Click the banner below to sign up for free. See you on November 16!